Recent macroeconomic developments and underlying long-term trends have heightened the urgency of scaling up circular economy principles. From the 1850s to 2000, declining real resource prices, especially for fossil fuels, were the engine of economic growth in advanced economies. Reusing materials was not a priority: it was easier to obtain more primary resources, and cheap to dispose of them when they reached the end of their use. The greatest economic efficiency gains of the Industrial Revolution in fact came from using more resources (particularly energy) to reduce labour costs. The economic efficiency gains just described have changed for two key reasons: sustained rises in the price of resources and unparalleled resource price volatility. 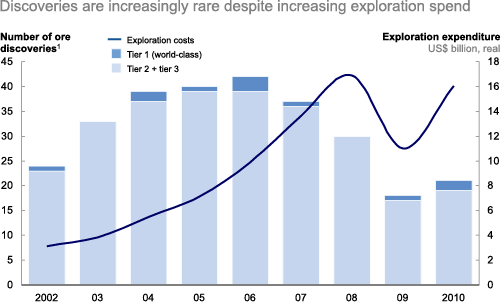 Unprecedented resource price volatility. The last decade has also seen higher price volatility for metals, food and non-food agricultural output than in any single decade in the 20th century.26 Higher resource price volatility can dampen economic growth by increasing uncertainty, discouraging businesses from investing and increasing the cost of hedging against resource-related risks. A number of underlying observations suggest that both these effects—spiralling prices and unparalleled volatility—are likely to continue in the future, making it all the more important that substantial value creation opportunities are achieved by adopting circular economy business models. This is because the drivers of these changes—demand- and supply-side trends—are bound to continue. Demand-side trends. Around 3 billion people are expected to join the ranks of the middle class by 2025.27 This represents the largest and fastest rise in disposable incomes ever and will occur mainly in the developing world. 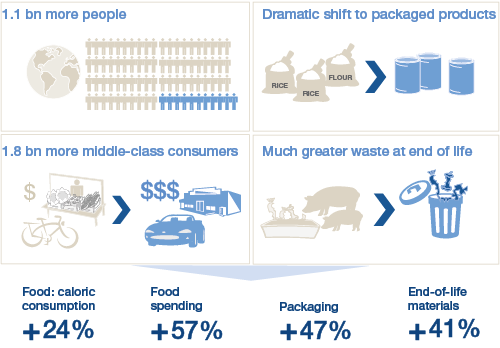 In addition, there are the relatively more affluent consumers in OECD economies: their resource footprint is a multiple of that generated by these new middle classes. The World Bank has described the coming upsurge in consumer demand as a “potential time bomb”28 [Figure 9]. 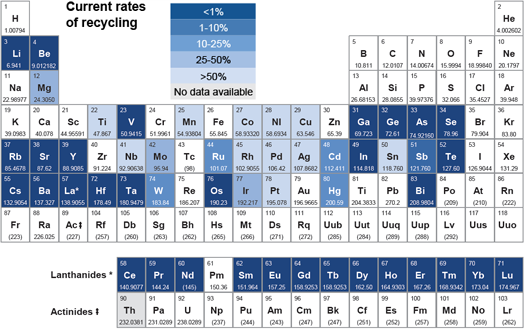 1 All metal and mining materials; latest data available to 2010. Against this backdrop, the rapid scale-up of circular economy principles could reduce pressure on resources significantly and avert adverse effects on the economy overall. 24 Interview with Jean-Philippe Hermine, Renault’s Environmental Director. 25 See note 1 above. 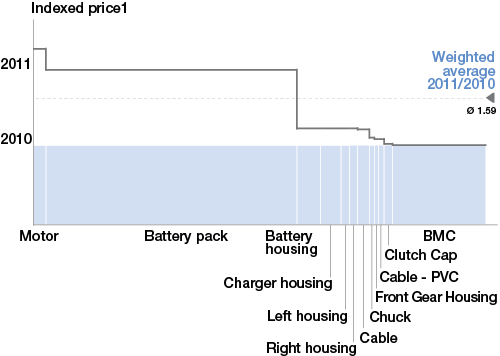 26 Annual price volatility calculated as the standard deviation of McKinsey commodity sub-indices divided by the average of the sub-index over the time frame; Source: Resource Revolution: Meeting the World’s Energy, Materials, Food, and Water Needs, November 2011, McKinsey Global Institute. 27 Resource Revolution: Meeting the World’s Energy, Materials, Food, and Water needs, November 2011, McKinsey Global Institute. 28 The number shown in Figure 9 are for 2010- 2025; estimate based on the comparison of low-income countries or population segment (e.g. India) and middle-/high-income countries and segments (e.g. US). 29 Hunt, A. J. (ed. 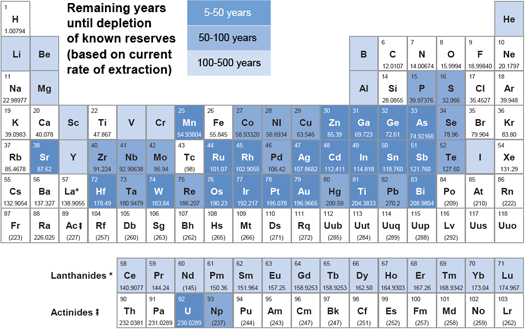 ), Element Recovery and Sustainability, RSC Green Chemistry Series, Cambridge, 2013. 30 Towards the Circular Economy 2, Ellen MacArthur Foundation, pp. 20-21. 31 Global Risks 2012, Seventh Edition, Davos, World Economic Forum, Box 1 and p. 11, Figures 4 and 5.